Continuing Lombok story, another unique restaurant here is El Bazar Cafe. It also spotted around Kuta area, Lombok, not so far from the Drifters, my previous post. Drifters is specialist in Burger, as El Bazar Cafe is specialist of Mediterranean food. Just for your information, this restaurant has been scored number 1 in Lombok based on tripadvisor. Something surprising though, in Lombok one of best restaurant not the typical food but it is a mediterranean restaurant. I went there during my dinner, apparently this place is really crowded. Another information, all customers are western foreigners. I did not see any other asian around. Actually the owner of this restaurant is came from Morocco, one of North African country with of course we know, various typical Middle Eastern culture and foods. Inside the restaurant is still keeping the beach theme with wooden chairs and tables, also some green fake leaf around, but don't forget they are mixed it mediterranean ambiance by music. As expected, they are offering various Middle Eastern menu start from food to drinks. 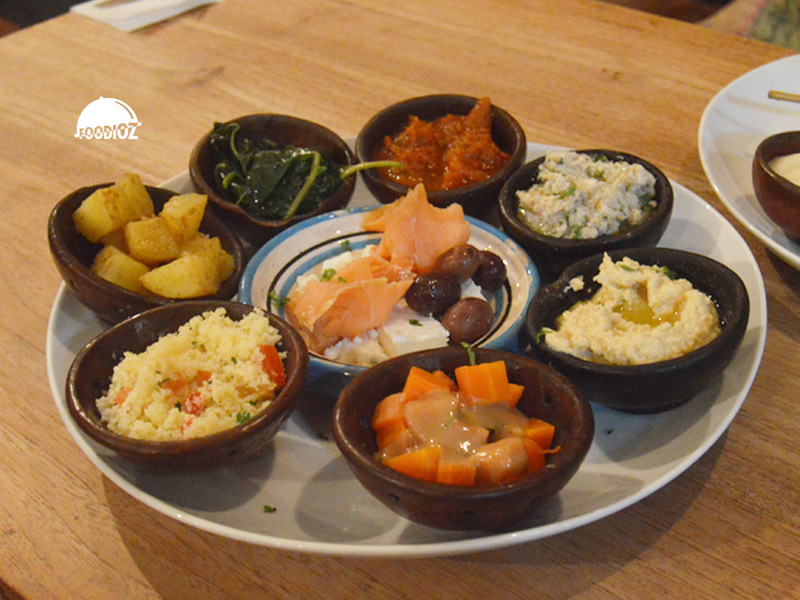 First our order was a Mezze Tasting Plate. A huge plate with various ingredients like salmon, feta cheese, sweet potato, vegetables, quinoa, and many others. It is absolutely amazing! All fresh ingredients with great seasoning, it is good while you mixed it together, it also served with pita bread in tiny slices which is really comfortable. Such a brilliant idea to start a dinner. For the main i choose the Beef Kebab. 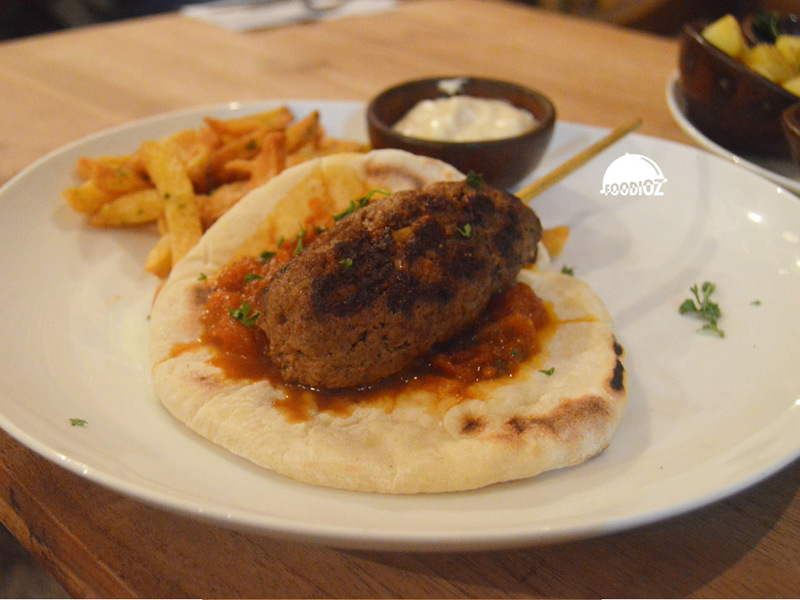 Huge beef meat on skewer served on pita bread and along with fried potato wedges also mayo sauce. This absolutely recommended dish here. Tasty beef with nice texture match perfect with the bread. Sure this is huge portion for one person, especially with many of potato wedges. Actually this restaurant price among the others around Kuta, but since they do served really good food and up of normally our portion, so i think it is really worth it. Absolute recommended spot to go while in Lombok. Thank you very much for this nice article and your support. by the way, check our new picture of the new expansion of el bazar. you will love the blue. hi, oops sorry my mistake. since i visited there during night time and guess did not noticed about the green plant. especially after long rough day at the beach. you welcome so much, i am sure love the moment there. Thank you.